DESCRIPTION Welcome to 178 Cornerstone Cir. NE, a home with a perfect style,elegance and function built by Shane Homes with customized changes in actual plan keeping in mind the needs of a growing family.This is a must see gorgeous brand new home still under new home warranties. located in highly sought after community of Cornerstone. A convenient main floor den/Bedroom with full washroom make it perfect for a large family with elders.The two storey open to above dropped foyer is a bold welcome and leads you to the open concept living and kitchen area with extra wide-plank hardwood crisp with quartz counters,stainless steel appliances and a feature fireplace with floor to ceiling tiling. "Spice Kitchen" with walkout pantry connected to Garage make it ideal for ethnic cooking.Upstairs the owner's suite includes a walk-in-closet,full 5-piece en suite. 3 additional bedrooms includes another Master with 4 piece ensuite. An enclosed bonus room,full bath and private office space round out the 2nd floor. Book your showing. Home for sale at 178 Cornerstone Ci Ne Calgary, Alberts T3N 1G9. 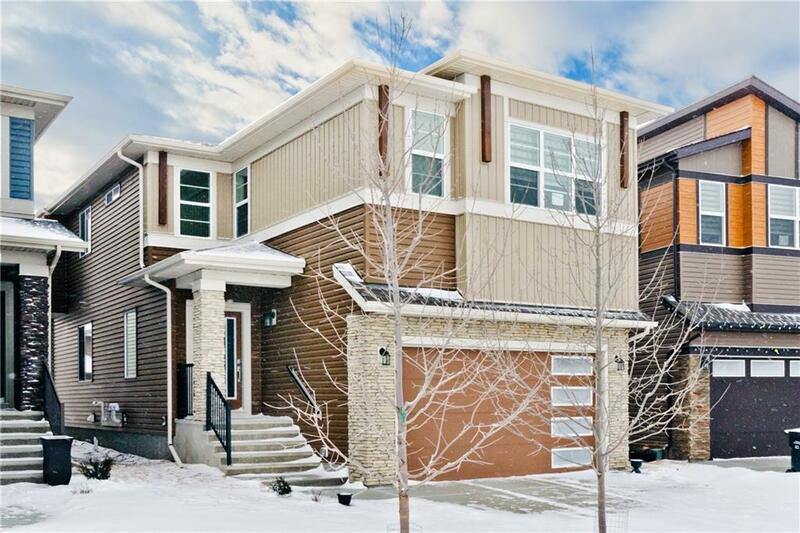 Description: The home at 178 Cornerstone Ci Ne Calgary, Alberta T3N 1G9 with the MLS® Number C4225699 is currently listed at $690,000.